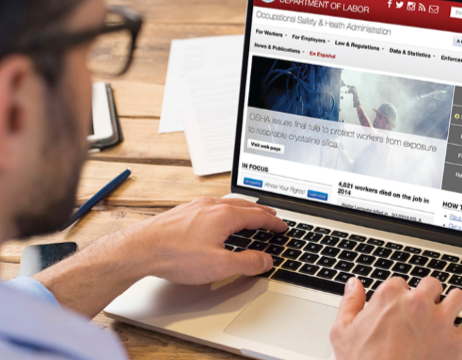 The U.S. Department of Labor’s Occupational Safety and Health Administration (OSHA) has issued a final rule which eliminates the requirement for establishments with 250 or more employees to electronically submit information from OSHA Form 300 (Log of Work-Related Injuries and Illnesses) and OSHA Form 301 (Injury and Illness Incident Report) to OSHA each year. These establishments are still required to electronically submit information from OSHA Form 300A (Summary of Work-Related Injuries and Illnesses). The new rule also requires covered employers to electronically submit their Employer Identification Number with their information from Form 300A in order to make the data more useful for OSHA and the Bureau of Labor Statistics (BLS), and to reduce duplicative reporting burdens on employers in the future. OSHA began collecting information from OSHA Form 300A for 2018 on January 2, 2019. The deadline for covered employers to complete electronic submissions is March 2, 2019. OSHA may issue citations to those employers who are found to have failed to electronically file the required information. The maximum penalty for other-than-serious violations has recently been increased to as high as $13,260 per violation. This final rule becomes effective on February 25, 2019. If you have questions about OSHA electronic recording requirements, please contact Carl Habekost.